Do you know the hidden messages your words are sending when you speak (or write)? 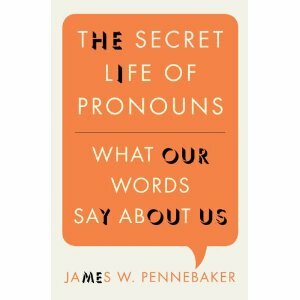 Psychologist James Pennebaker does, and suggests you focus on minding your pronouns--because pronouns say the most about you. In this Scientific American interview with Pennebaker, he decodes our pronoun usage, offering this quiz to ask who uses the following types of words more: Men or women? Most people assume that men use I-words and cognitive words more than women and that women use we-words, emotions, and social words more than men. Bad news. You were right if you guessed that women use social words more. However, women use I-words and cognitive words at far higher rates than men. There are no reliable differences between men and women for use of we-words or emotion words (OK, those were trick questions). And men use articles more than women, when you might guess there’d be no difference. He also offers some clues to how pronouns are used by those in power. Leaders tend to use them less--surprised?--but underlings are all about saying "I, me, mine." You can find out more about the messages you're sending with your pronouns in his book, The Secret Life of Pronouns: What Our Words Say About Us .